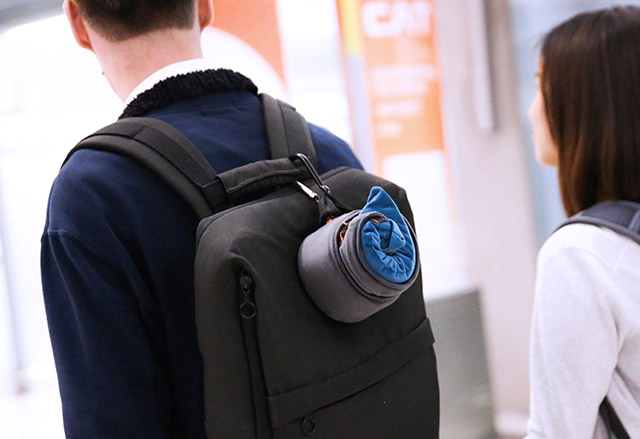 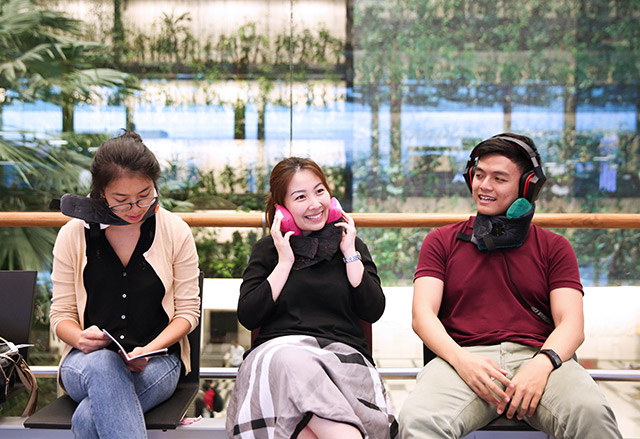 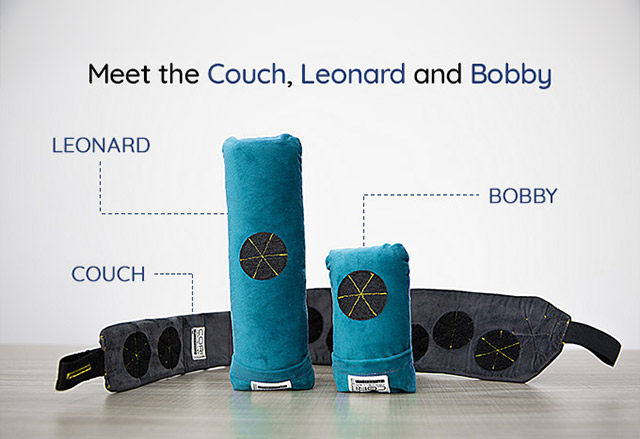 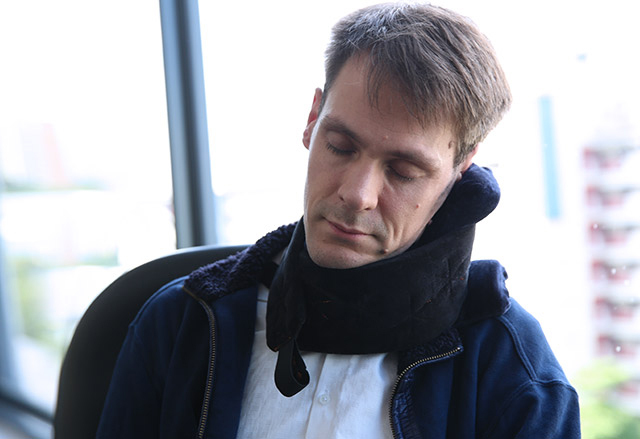 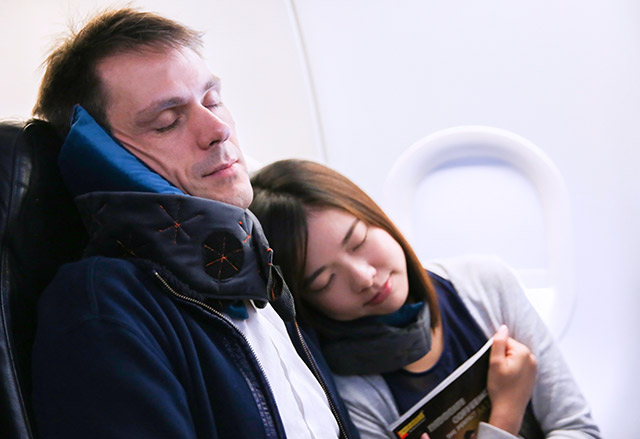 The Cori Traveller is a modular travel pillow that supports your neck and chin. 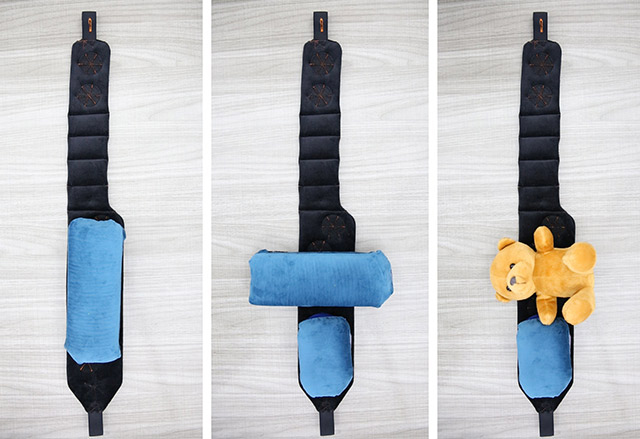 It consists of a strap with Velcro patches where you can attach the two included cushions in a variety of ways. 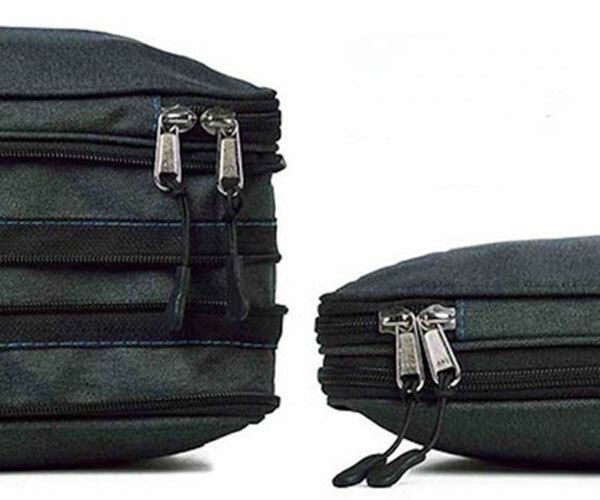 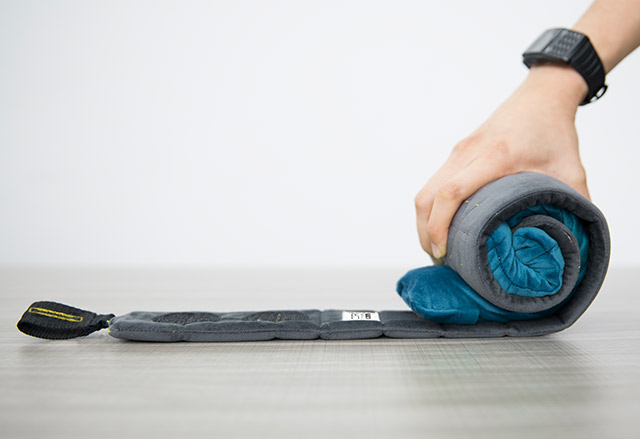 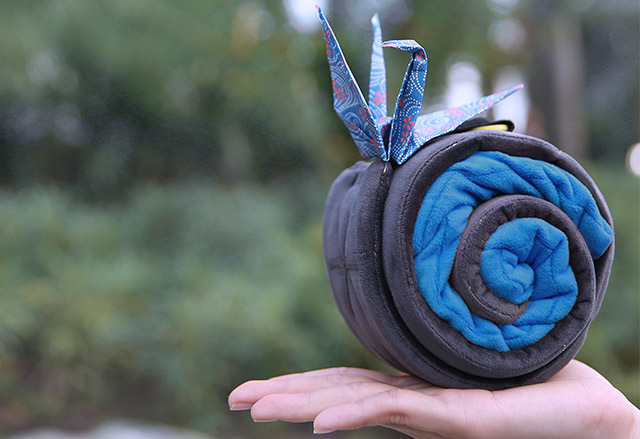 You can roll all three up as one compact ball and hang them with the included carabiner.